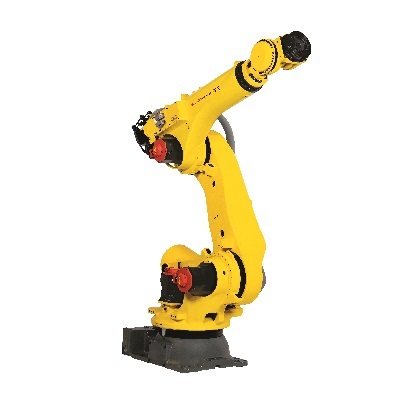 Being part of the most powerful robot series, the R-2000iC/220U is made to fit a variety of workspaces, while handling high payloads at a high level of precision. 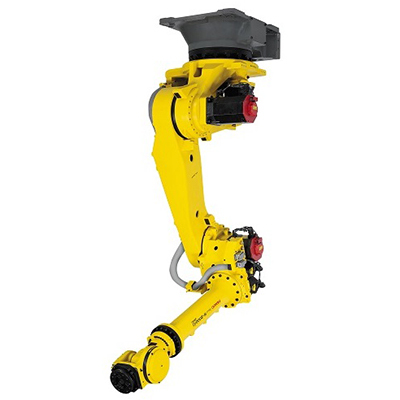 This mobile industrial robot model can be adapted to limited space cells by mounting it to the ceiling. 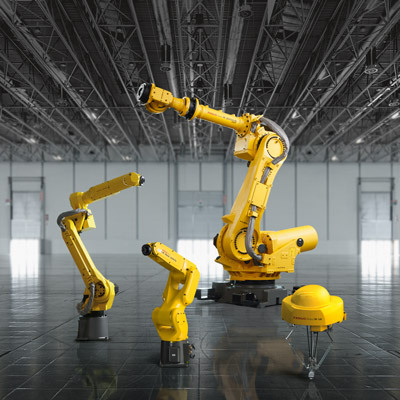 Working from above allows it to maximise the available space and avoid the risk of collision to handle large work pieces or perform spot welding applications at a perfect angle. A work cell unsuitable for floor or wall mounting requires a solution that can adapt to such needs. Thanks to a flip over capability, the R-2000iC/220U is mounted to the ceiling, giving it the flexibility to fit narrow cell designs. 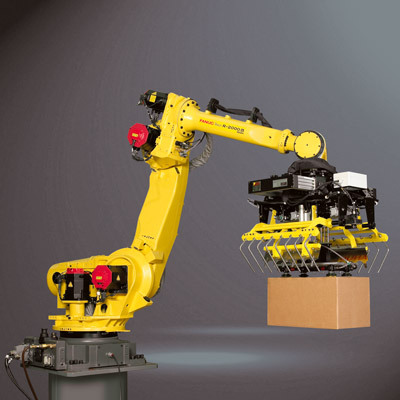 This smart feature enables several robots to work together in close proximity with shortened cycle times. 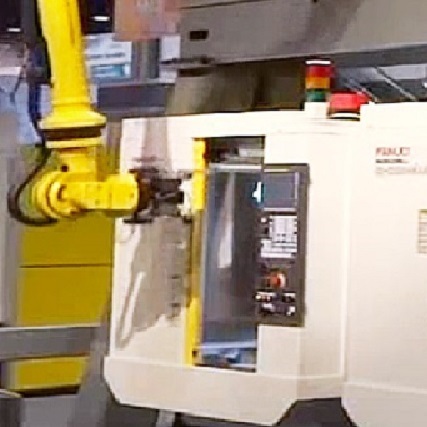 With a high payload capacity of 220 kg, this mobile industrial model is able to process large workpieces while being mounted at the ceiling. Its strong wrist gives it the power to achieve the same level of preciseness as other members of the strong R-2000 series. 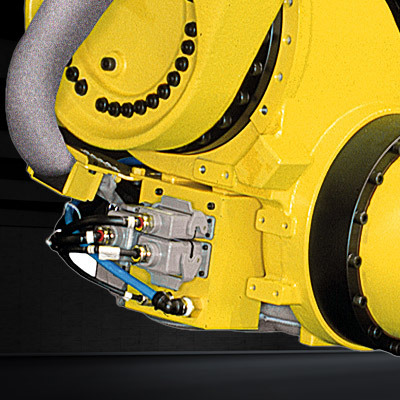 While hung up, excellent cable protection is guaranteed through arm integrated services preventing snagging and interference. 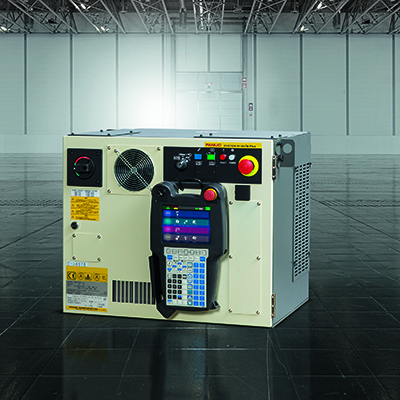 Thanks to this, the R-2000iC/220U is freed from restrictive cabling giving it the necessary flexibility to perform on a high level. Different mounting positions available, secondary food option, washing environment fit etc.